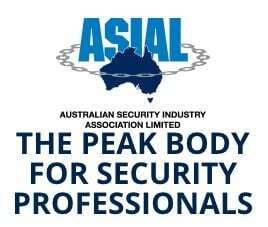 Are We Perth's Best Security Systems & Services? You Be The Judge. Our many customers have rated us highly (5 Stars) over numerous years and we constantly strive for 100% customer satisfaction in whatever we do. Our security business covers a wide range of services across the security industry. This includes detailed input into the design, planning, installation and maintenance of every project we undertake. This includes small housing burglar alarm, 4K CCTV projects, or large multi-storey building management systems that have sophisticated access control systems. We can integrate intruder alarms and CCTV onto one management platform. Rapid Alarms is proud of the way we support and service all of our clients. To be rapid in our response we have a fleet of well-stocked service vehicles so our security installation staff are ready to attend and rectify any issues within your security system. Working with the biggest burglar alarm manufacturers in the WA market, we have a wide range of solutions catered to each and every one of our customers. Whether you require a hard-wired alarm system, a wireless alarm system or a hybrid alarm system to secure your perth property we can creatively design a quality alarm system to suit your specific requirements. Some of the manufacturers we utilise are Hills, Bosch, DSC & Paradox. Our Perth Business alarm systems provide the highest level of protection with 24/7 tamper monitoring of circuits, onsite programming servers where required, and remote assistance capabilities. We are able to set up multiple areas with multiple code pads for arming and disarming. Some of the manufacturers we utilise in this field are Interlogix challenger systems, inner range concept panels and inner range Integriti systems. Our Residential CCTV systems bring the latest in video technology home to you to make you feel safe and secure with your own home. With the ability to motion record and smart features like EXIR infrared technology and remote viewing on your mobile devices from anywhere in the world, you can be sure you have made the right decision choosing Rapid Alarms. Some of the brands we use are X2, hikvision, dahua and uniview. When it comes to providing CCTV solutions for Businesses in Perth Rapid Alarms has a huge variety of CCTV platforms available to help us meet the highest of standards within the industry. With extensive experience with all aspects of business CCTV, from service station installations with point of sale integration to huge commercial premises with auto tracking PTZ cameras and intrusion detection through CCTV network. Rapid Alarms offers complete turnkey access control solutions to clients large and small. Whether you require single door keyless entry to your small business premise with the ability to remotely open the door from anywhere in the world or require a multi-storey multiple door platform with lift access control integrated into the system. We are here to help from the initial enquiry right through to commissioning and after-sales support. Intercom technology has come a long way in the past few years with the rapid technological growth in the CCTV market. This new technology has also been utilised in the Intercom industry with the introduction of IP intercom systems. If you are looking for a quality intercom system in Perth give us a call to discuss our HD intercom systems which can be pushed through to your mobile when you are not home.